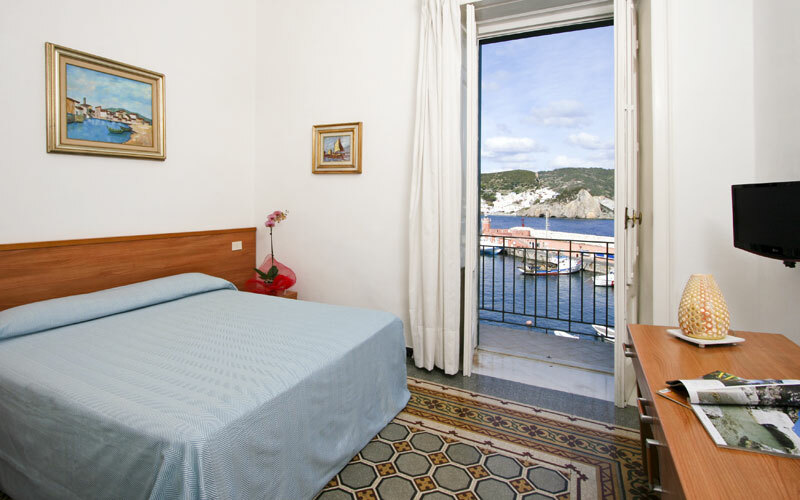 You'll have a hard time finding a more strategically-located hotel on the island of Ponza than Hotel Mari. 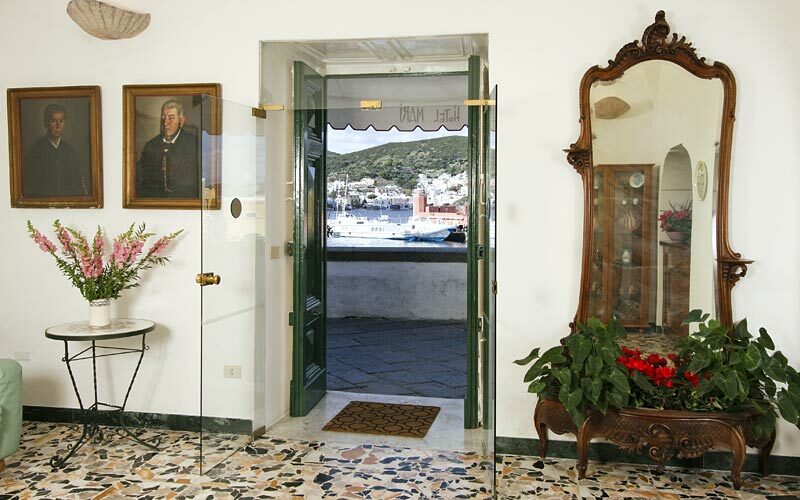 Overlooking the historic harbor, which was built during the reign of Ferdinando IV of Bourbon, this much-loved 3 star sits on the road which follows the semicircular sweep of the old mooring dock. 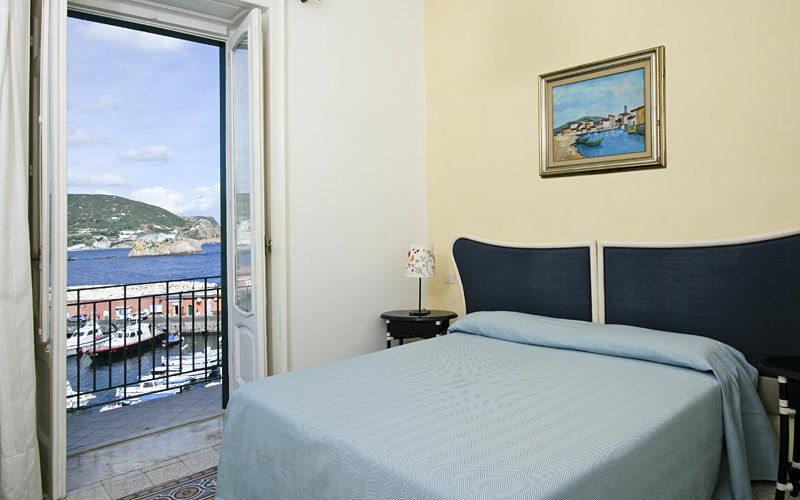 Tastefully furnished in typical island fashion, Hotel Mari has all the charm of a simple seaside home. 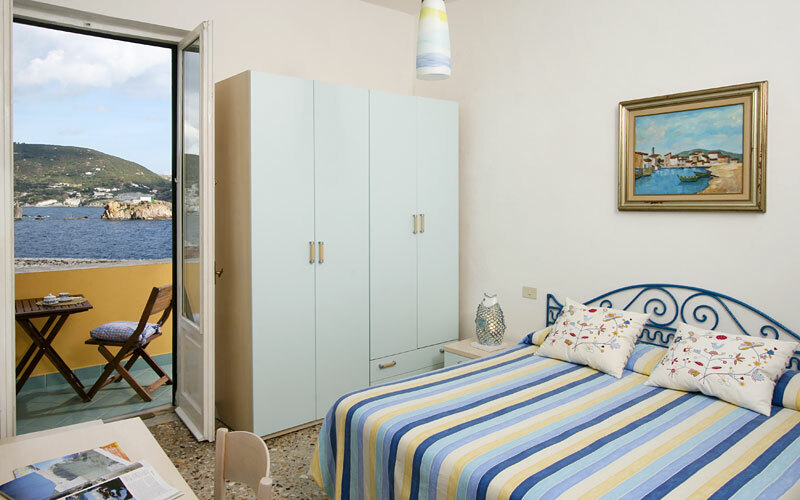 Decorated in brilliant whites and soothing shades of blue, almost all of Hotel Mari's bedrooms enjoy beautiful views of the sea. 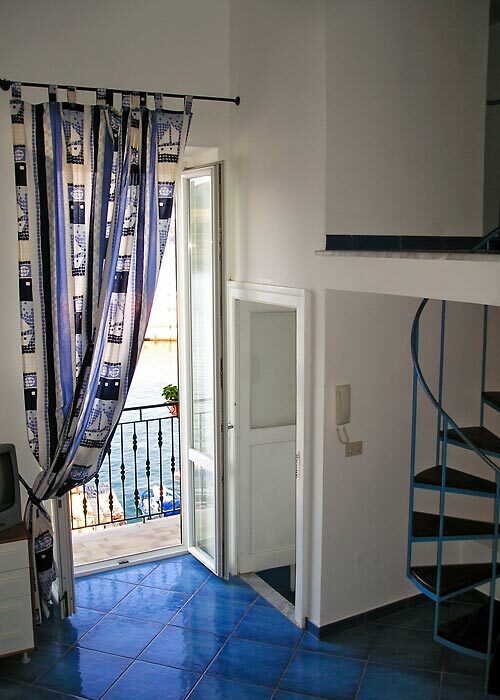 A number of rooms open out onto pretty little balconies overlooking the harbor. Travelling with the kids or just looking for additional privacy? Book Hotel Mari's independent apartment. 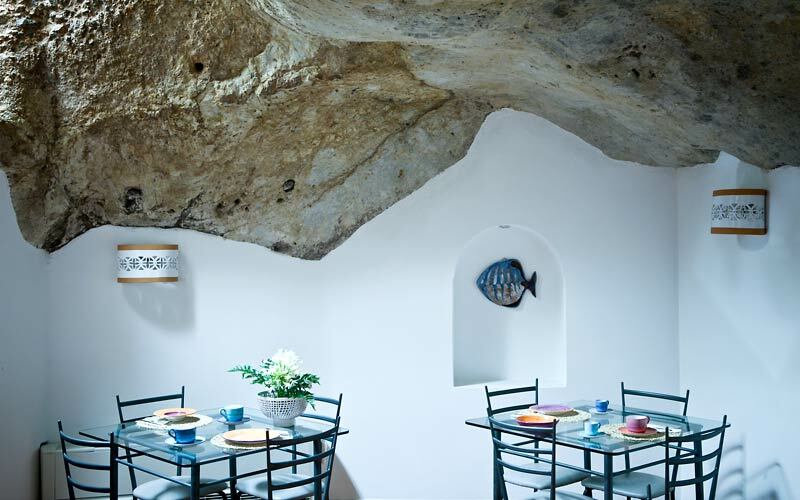 At Hotel Mari, a typical day might begin with a generous breakfast served in the characteristic dining room dug out of the rock, followed by hours spent relaxing on the island's beaches or sailing around the coastline in one of Ponza's traditional fishing boats. In the evening, the hotel bar is the ideal spot in which to enjoy an aperitif amongst friends before heading to one of the island's excellent restaurants. 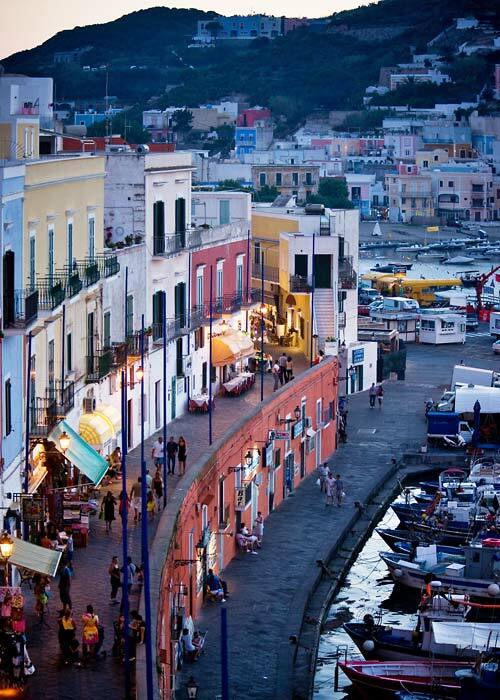 From first thing in the morning until late in the afternoon, the island's harbor is animated by the comings and goings of fishermen, tourists and islanders who, soon after the sun sets, inevitably make their way to the Piazzetta. 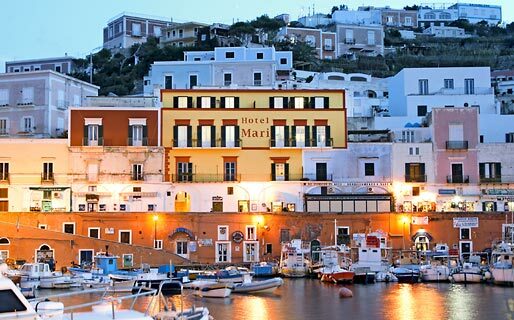 Hotel Mari is located on the island of Ponza, the largest of Italy's Pontine islands, just off the coast of Circeo. Regular hydrofoil and ferry crossings run between Ponza and Anzio, San Felice al Circeo, Naples and Ischia. From the windows of the hotel, overlooking the harbor, guests can watch the cheerful to and froing of tourists and locals. Built on the remains of the Ancient Roman port, the two-tiered harbor appears much as it did under the reign of Ferdinando IV, the Bourbon King who ordered its construction. 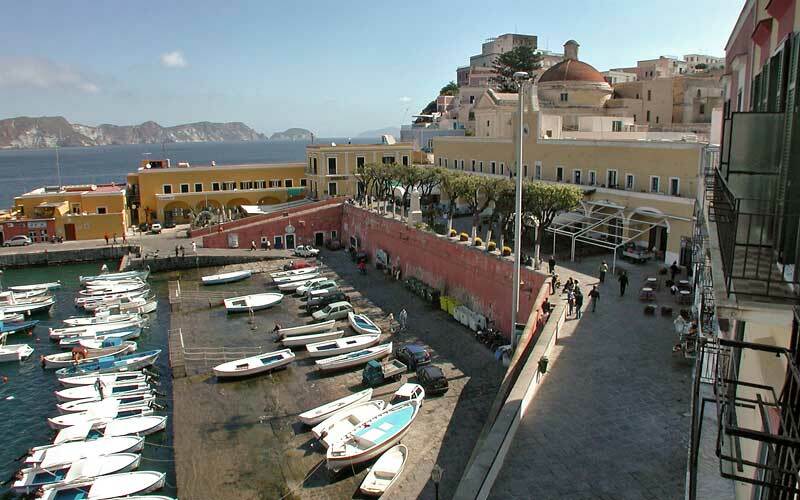 Ponza's Piazzetta, lined with restaurants, pavements cafes and shops and home to the island's picturesque town hall and church, is just around the corner from Hotel Mari.